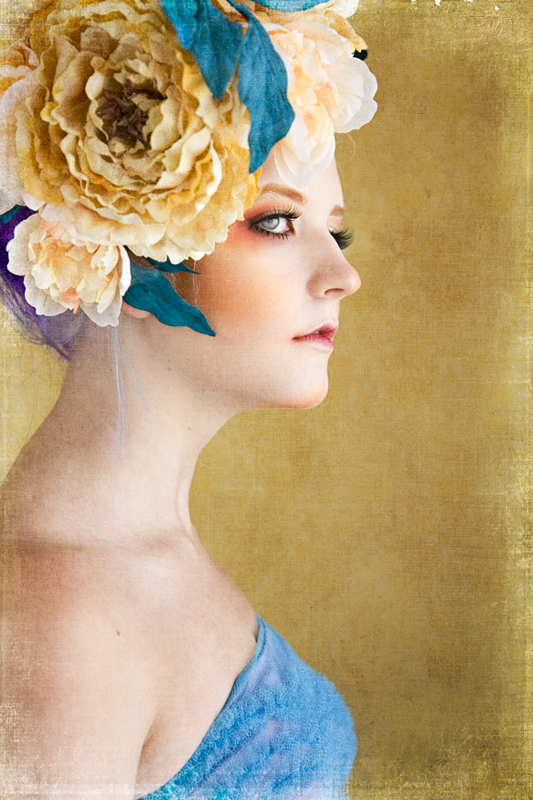 A few of my favorites from a recent personal project shoot, somewhat inspired by Marie Antoinette’s style. 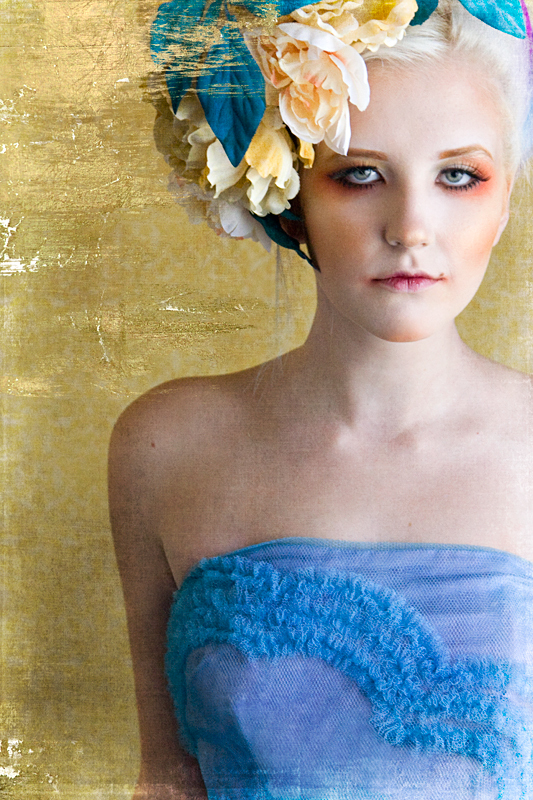 Special thank yous to my gorgeous model, Breanna, and the beyond beyond beyond talented makeup artist Alex Barraza. Thanks, ladies, for spending an afternoon with me and helping me to get what was in my mind onto the screen. Muah! OMG, I am LOVING your work and your creativity!!! 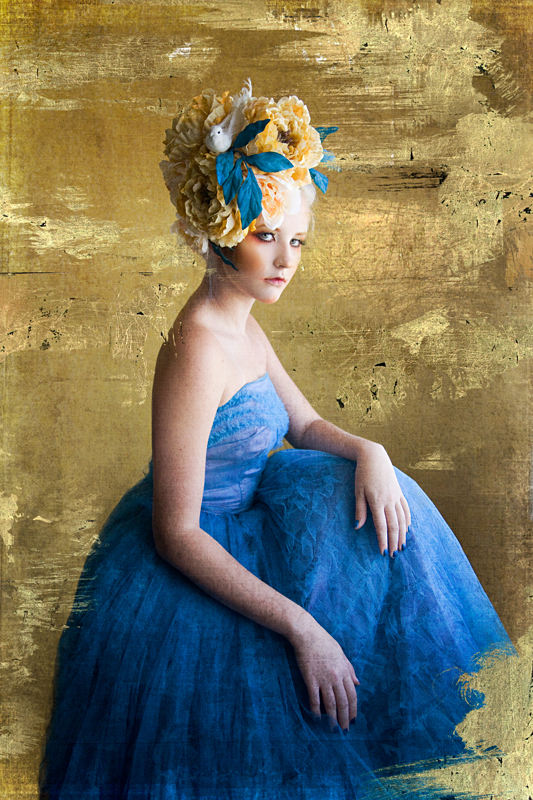 I am starting to take my work in a similar direction where I create my own head pieces, skirts..etc. I’m not the most creative person so seeing different ppl’s creations and learning how they make them helps. If you get a chance, can you share with me how you made the head piece? It is stunning along with your photography. Aww, thanks so much! 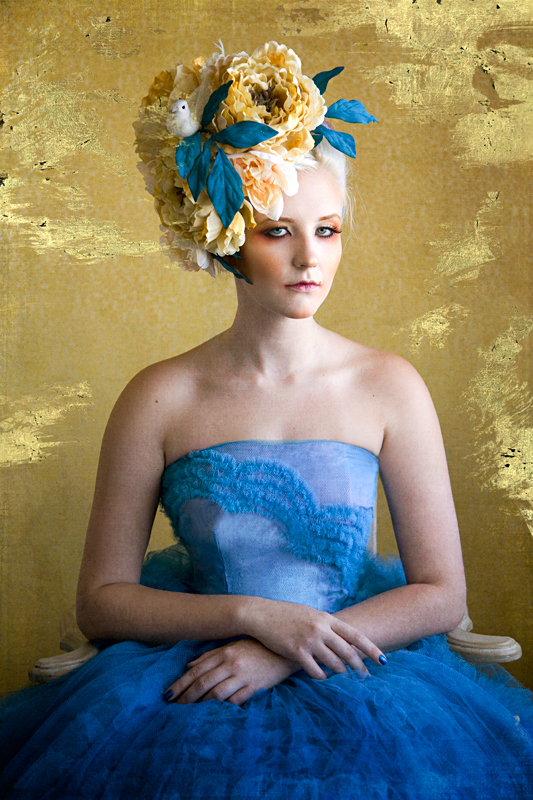 For headpieces like this, I start with a piece of felt cut into a circle. I pin that to a Styrofoam head and kind of mold it and hand-stitch it so that it cups the head and mimics the shape. From there, I pin the flowers to the felt, making adjustments as I go, until I’m happy with how it looks. Then I either stitch the flowers to the felt (which is what I did in this case) or I glue them to the felt if I don’t think I’ll want to reuse them for another project. On the day of the shoot, I’ll unpin the felt from the head and clip it to the subject’s hair. Hope that’s helpful- good luck with your projects!